September 1940. Montrose, Colorado. 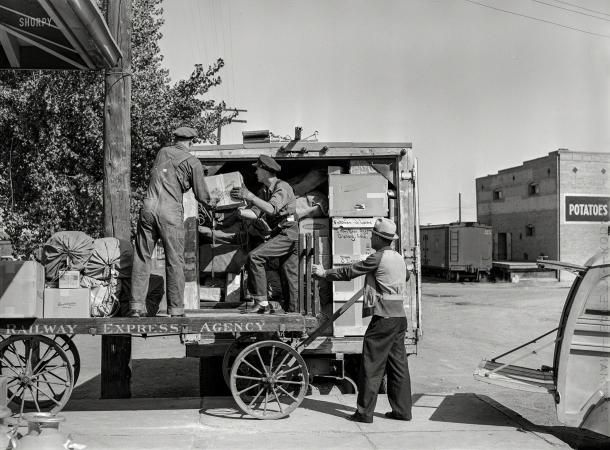 "Loading express packages into Denver & Rio Grande Western truck."